What are the places to stay in Los Angeles? Here neighborhood by district, a mini-guide to know where to stay in Los Angeles! Where to stay in Los Angeles? This gigantic cosmopolitan city, an icon of cinema, extending between the arid plains of California and overlooked to the north by the San Gabriel Mountains, is populated by 3.976 million inhabitants (2016), with an agglomeration encompassing nearly 18.7 million inhabitants. Los Angeles attracted 47.3 million visitors in 2016. If you plan to visit and stay in the second most populous city in the United States after New York, prepare yourself for the effervescent rhythm of a gigantic city. Los Angeles (1,290 km²) stretches over 71 km from north to south, extends over 47 km from east to west, and has a perimeter of 550 kilometres! There is no real downtown in Los Angeles. This will not prevent you from finding accommodation, but if you travel to L.A. in the hope of finding a heritage-infused city centre with an old church, or the remnants of an ancient village with narrow winding streets, forget it. Los Angeles was not founded until the end of 18th century. Here is a presentation of L.A.’s districts – featuring many neighbourhoods – to help you find accommodation that suits your needs and the best place to stay in Los Angeles. The historical hub of film studios, Hollywood is home to world-famous film multinationals, which appear in the introduction of so many movies: Universal Studios and Paramount Pictures for example. 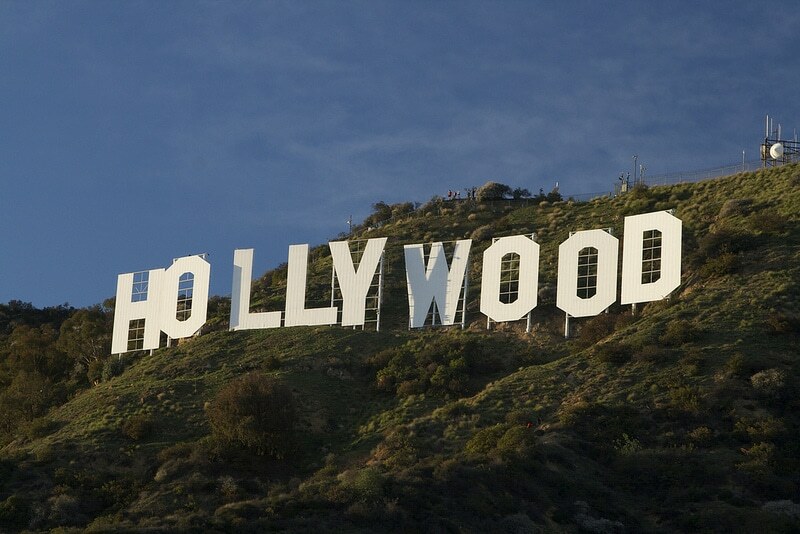 Hollywood is one of the largest neighbourhoods in Los Angeles. The area is best known for offering the best viewpoint on the famous “Hollywood” sign perched on the city’s heights, and for being the residence of the world’s most renowned movie stars. Stroll on the Walk of Fame, and look for the star acting in your favorite movies. Those who are travelling on a small budgets should abstain from staying in this chic neighbourhood. 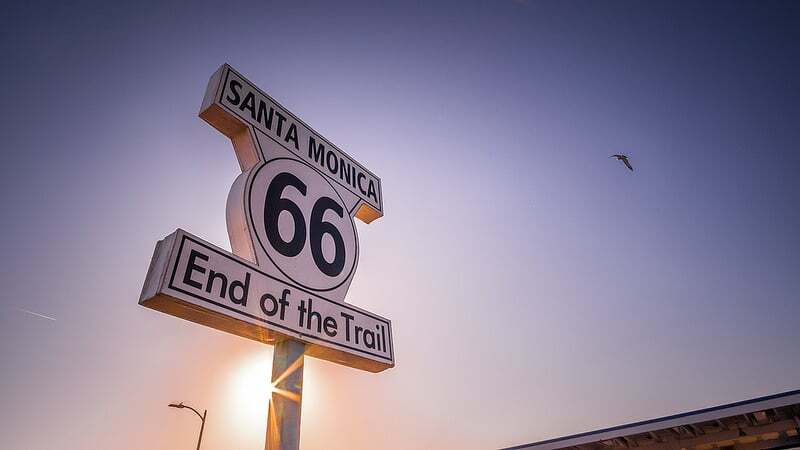 A coastal city of 89,700 inhabitants on the sidelines of Los Angeles, Santa Monica is the endpoint of the famous Route 66. 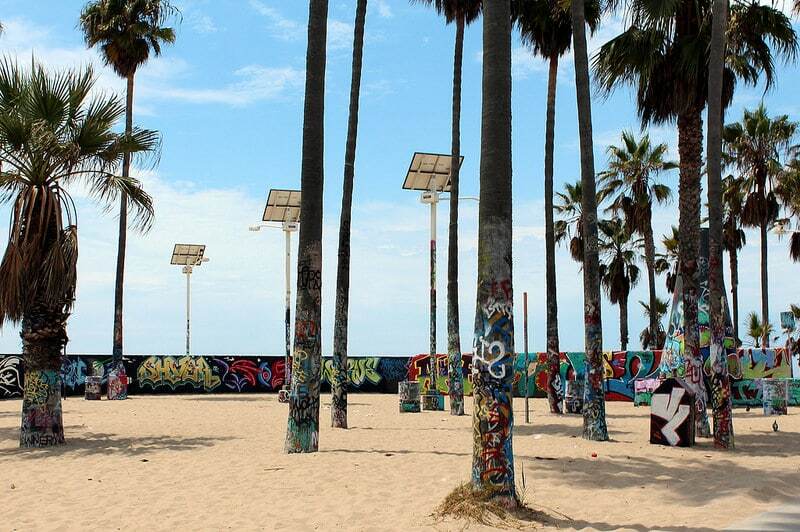 Yet L.A. is so big that we could consider Santa Monica as a great neighbourhood to stay in Los Angeles. Why ? With its fine sandy beach stretching over 4.5 kilometres and its sunshine all year round, it’s the perfect place to sunbathe and swim. You will also find many restaurants, bars and shops. The good news is that the city is more accessible and not as upscale as its neighbour. As a result, prices are more affordable than in central Los Angeles. Santa Monica offers a great alternative to find accommodation and stay in the area, especially if you are travelling on a limited budget. No, this is not in Italy, but the Pacific coast, west of Los Angeles. The Venice district is sandwiched between the city of Santa Monica and the Marina del Rey complex. The “Venice of America” has many canals and countless beaches where the sun shines all year round. The area is home to many celebrities, including Julia Roberts, Nicolas Cage, John Frusciante, Jim Morrison – where he started The Doors -, or Arnold Schwarzenegger. The flamboyant sunsets on the palm-fringed beach will seduce all lovers who will enjoy their romantic evenings along the canals or on the Venice Board Walk. 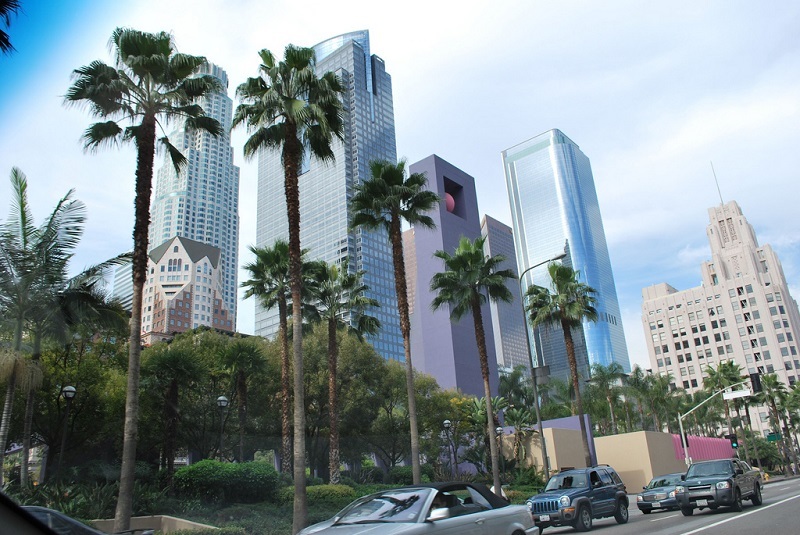 Downtown is Los Angeles’ business district, and is also what most closely resembles an actual city centre. Here you will find institutional buildings, such as the Government of Los Angeles County, sports complexes, and a large number of shopping centres. This district offers a stunning view of L.A.’s skyline, which has earned the privilege of serving as the shooting location of many movies. Since it is a chic neighbourhood, it will be necessary to plan a rather high budget if you decide to stay in Downtown Los Angeles. If you’re looking to shop for exotic products at reduced prices compared to other areas, and if you want to experience a real change of scene as if you were in Asia, this is the place to go. The district also offers regular festivals and other cultural events. If you plan to stay in this area, a place near the Chinese theatre is a good spot. 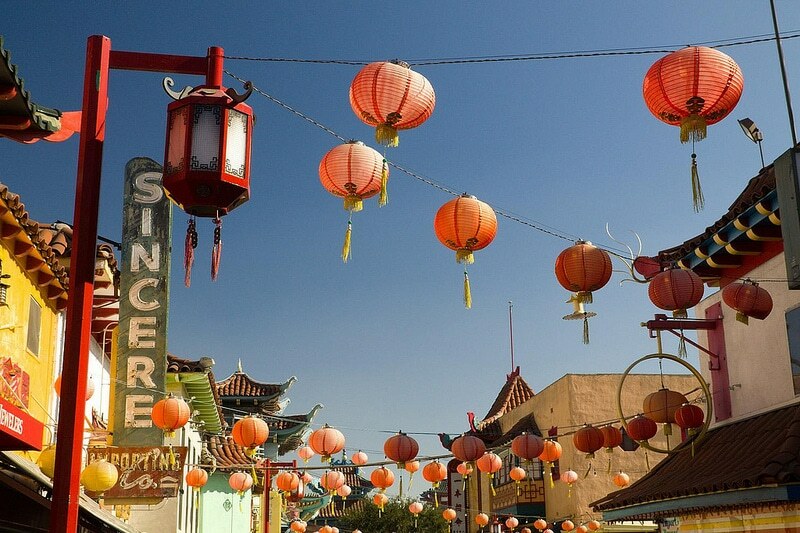 Northwest of Chinatown and east of Sunset Boulevard, the Silver Lake neighbourhood offers a more relaxed living environment, away from the luxury-obsessed bustle of the chic Los Angeles neighbourhoods. 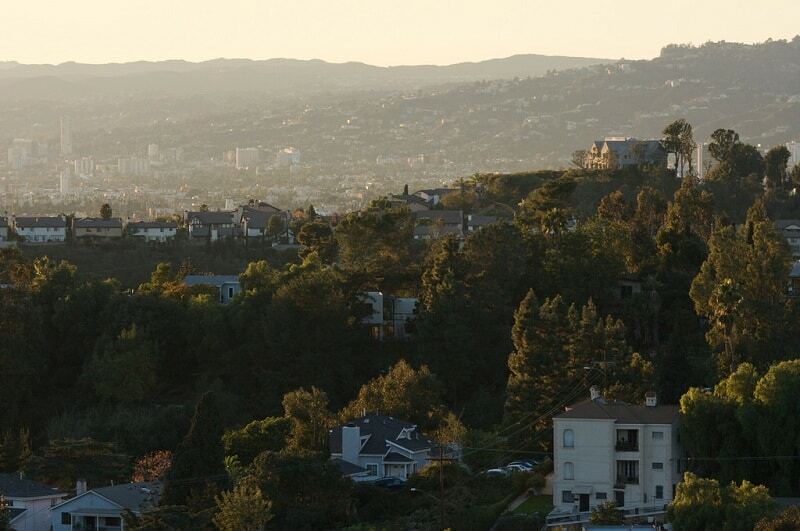 Staying in Silver Lake will appeal to art and countryside lovers (yes, countryside). In this area, life is residential, calm, and the way of life is infused with a more bohemian, alternative, and peaceful spirit. Artists and young hipsters in search of an alternative culture settle there. If you like art deco stores, independent record stores – to hunt for bargained sixties or seventies music -, cheap thrift stores, bars and concerts, don’t hesitate to stay here a few nights. For those planning a longer stay in Los Angeles, it is a great area for visitors – and workers – travelling alone, as a couple, with friends or family. A perfect place to enjoy an authentic neighbourhood life, without the frills.